Now that’s what I call extra support! 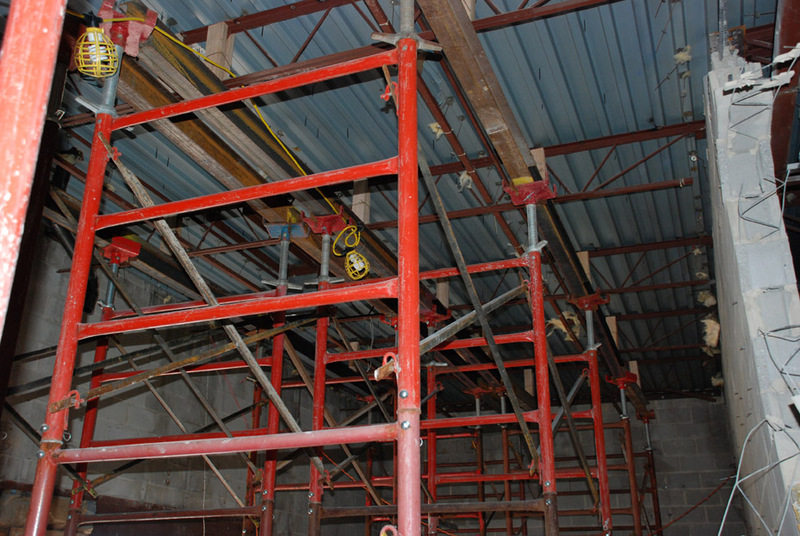 Shoring isn’t the most glamorous part of scaffolding or access but it sometimes can be the most important. 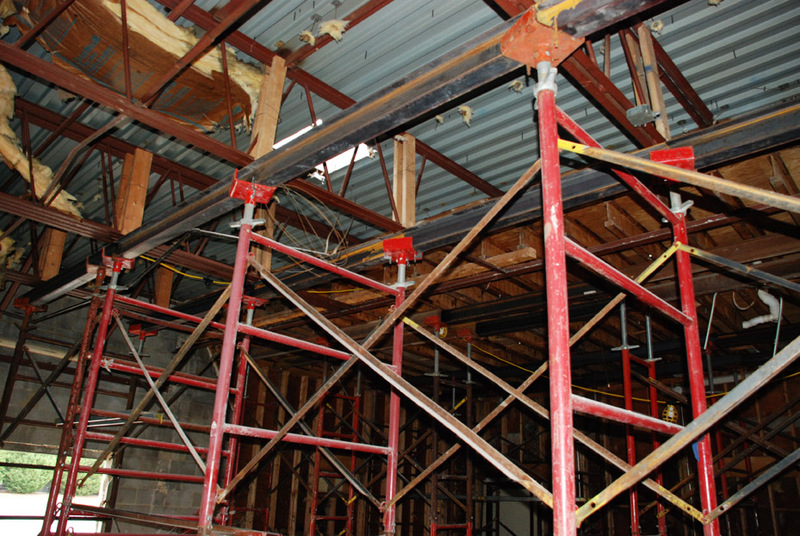 Just like a good support bra it needs to hold everything up in place – and that’s where Pinnacle Scaffold can help. 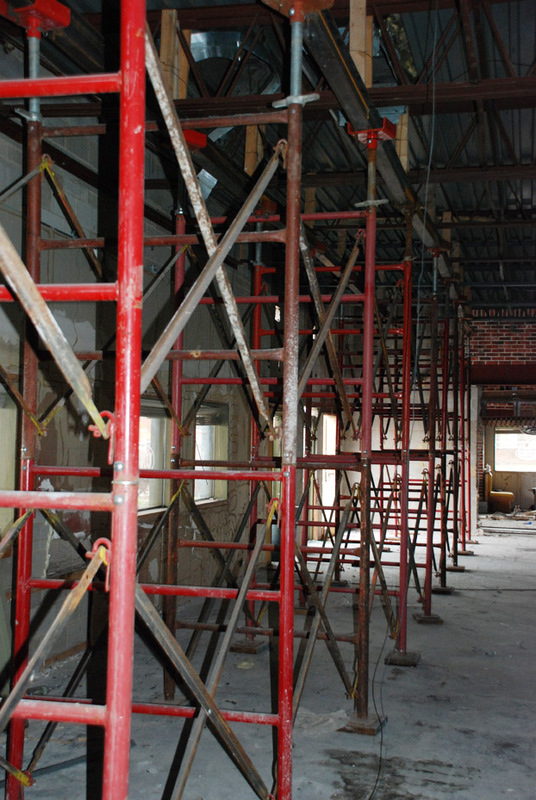 We can lift and support that sagging structure so work can commence. 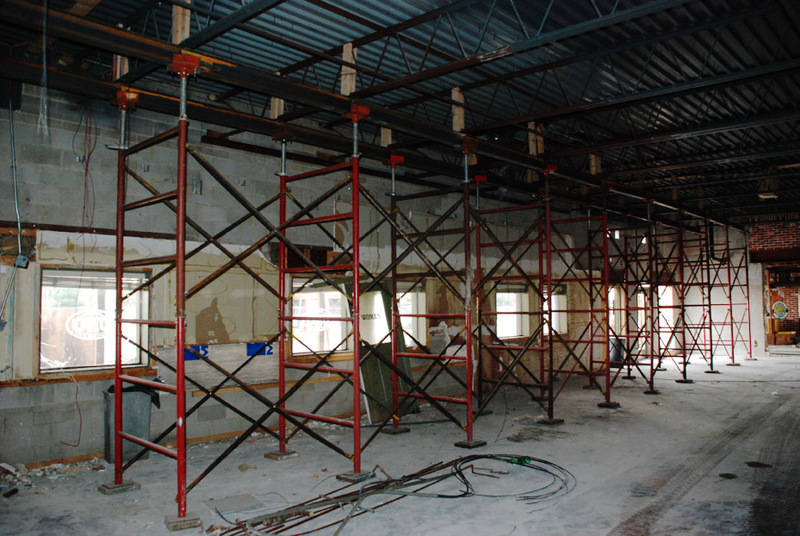 Pinnacle provided the shoring (support) for the entire inside of this old Pizzaria Uno (or Uno Pizzaria their official name) building in Smyrna, DE while crews pretty much removed the entire interior. 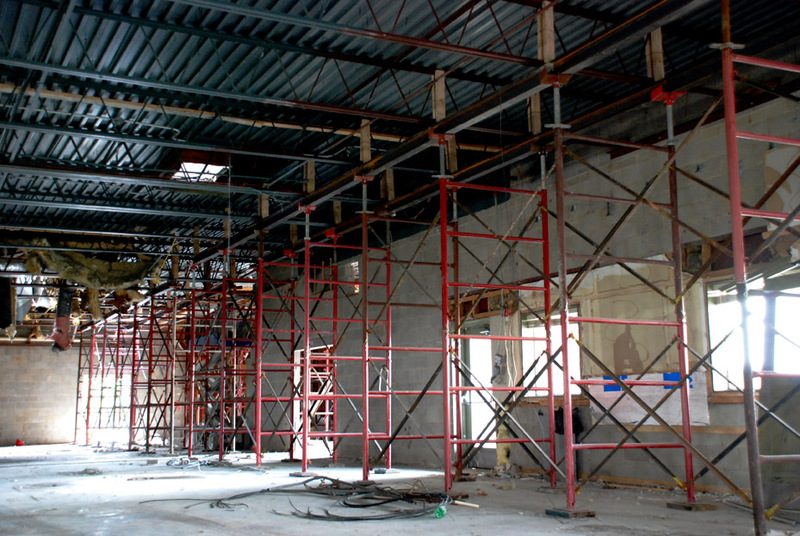 If you look carefully at the wide shot you will see that our hi-load shoring frames are actually supporting the entire left side of the interior. 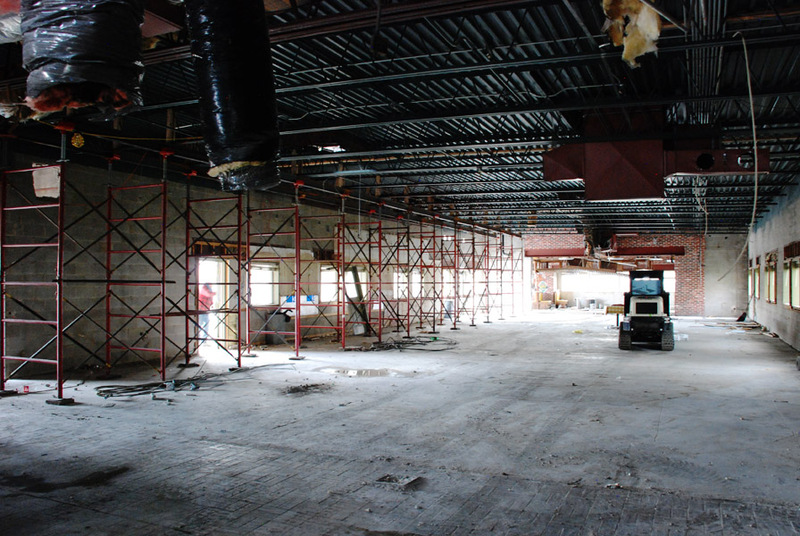 That’s because crews were not only gutting the whole interior but also remodeling the front or exterior as well! 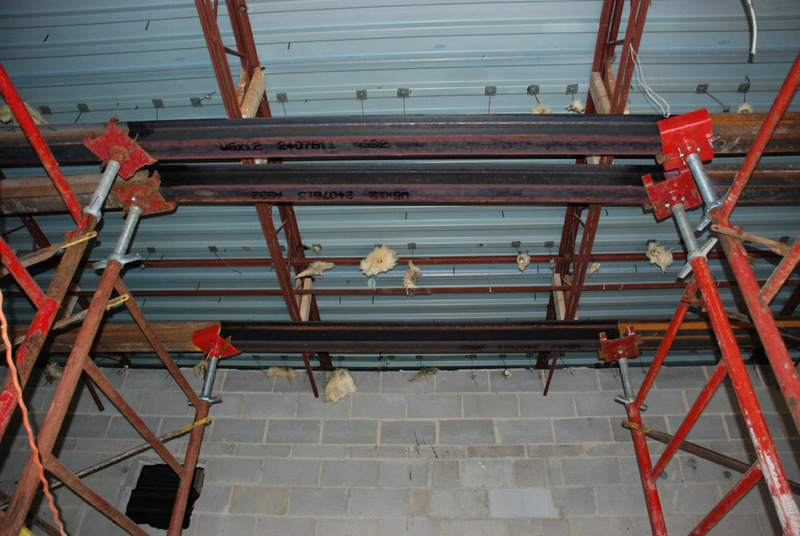 So, our shoring frames (which there were many) had to support the main trusses and entire side of the structure. 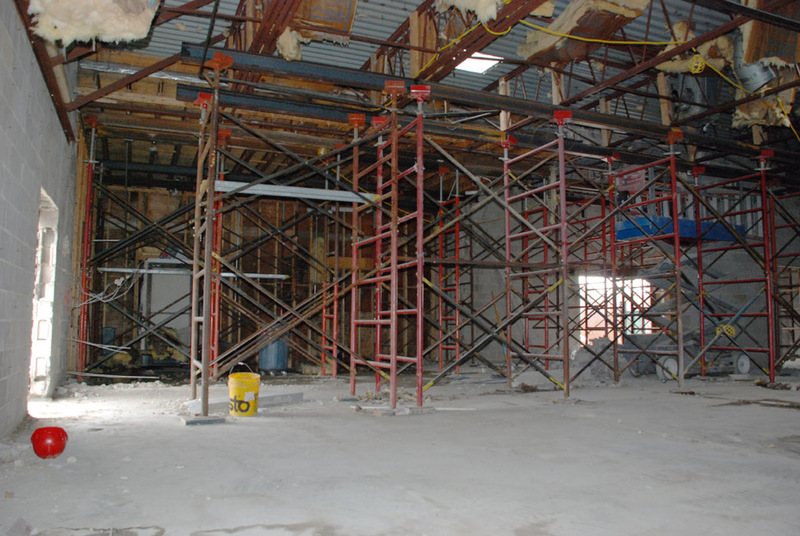 Crews are remodeling this building at 1225 N DuPont Highway, to become 3 stores instead of one. 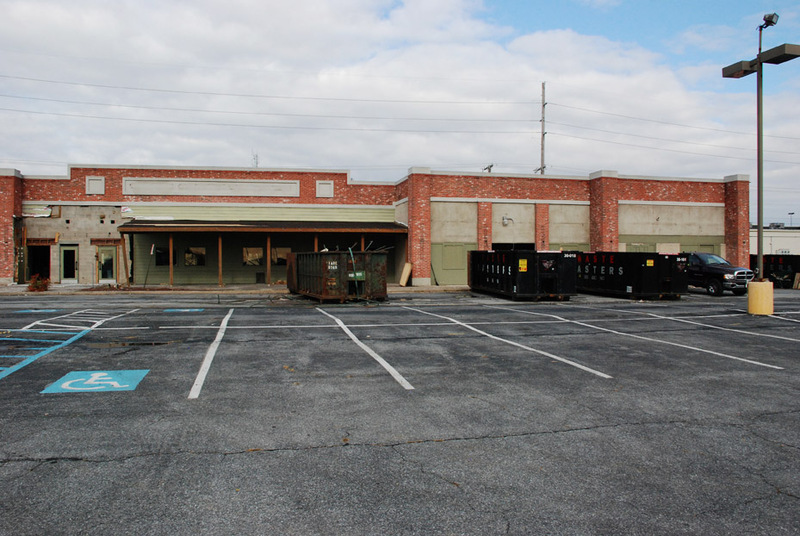 All indications show that a Panda Express as well as a Leslie’s Pool will be moving in. The third space hasn’t been announced yet but I will keep you posted. You can see several points in the building that required special attention. 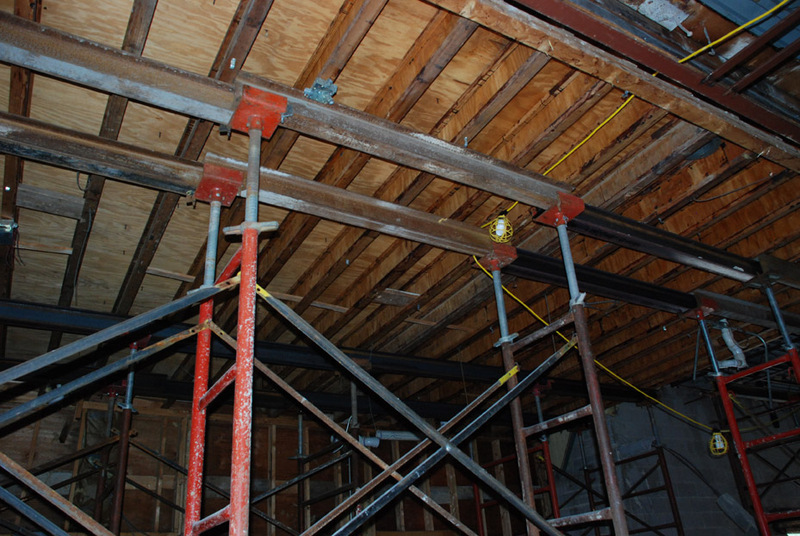 Steel beams, shoring frames, screw jacks, u shoring heads, cross-beams, Hi-Load Frames, Non-Load Bearing Ledgers, adjusting screws – were used throughout this entire job. And this is just for fun. I’m sorry but I found this to be hysterical.